The initial engagement of New Zealand forces was in Apia, German Samoa on 29th August 1914 when a small New Zealand force secured the German colony, meeting only token resistance and suffering no casualties. 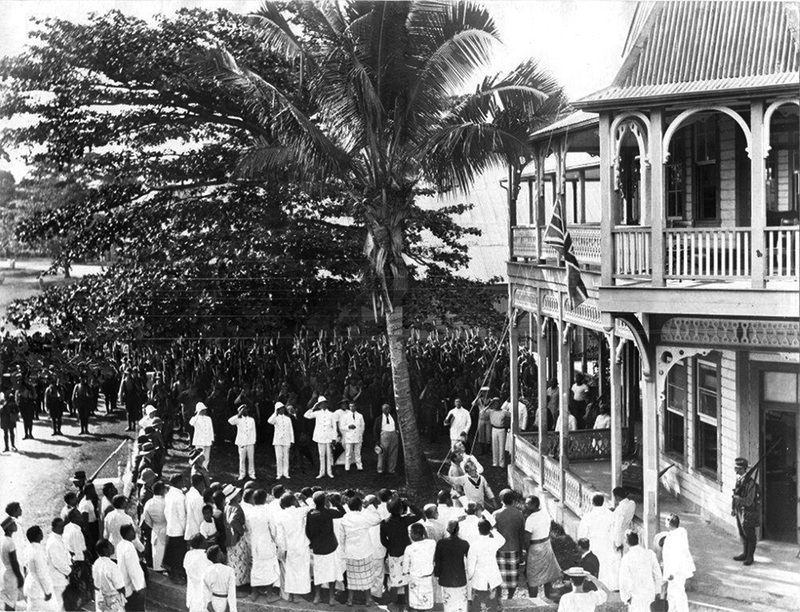 The hoisting of the Union Jack at Samoa after its occupation by the NZ Expeditionary Force. 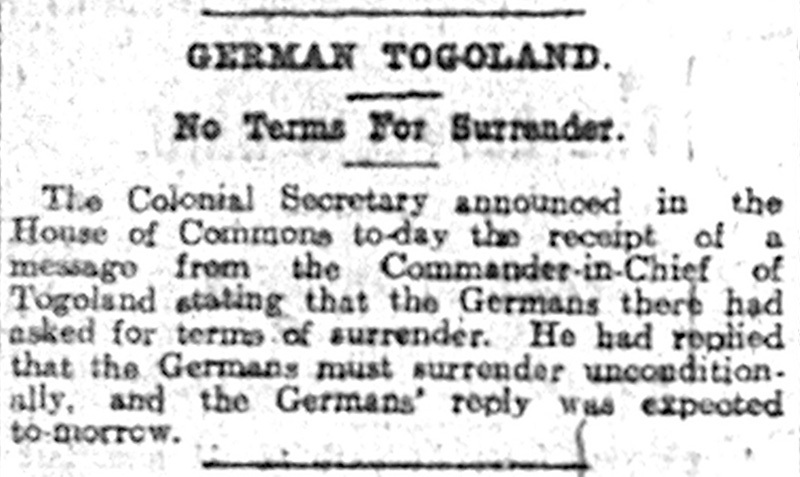 Prior to the ceremony the German flag was hauled down by a soldier in khaki. 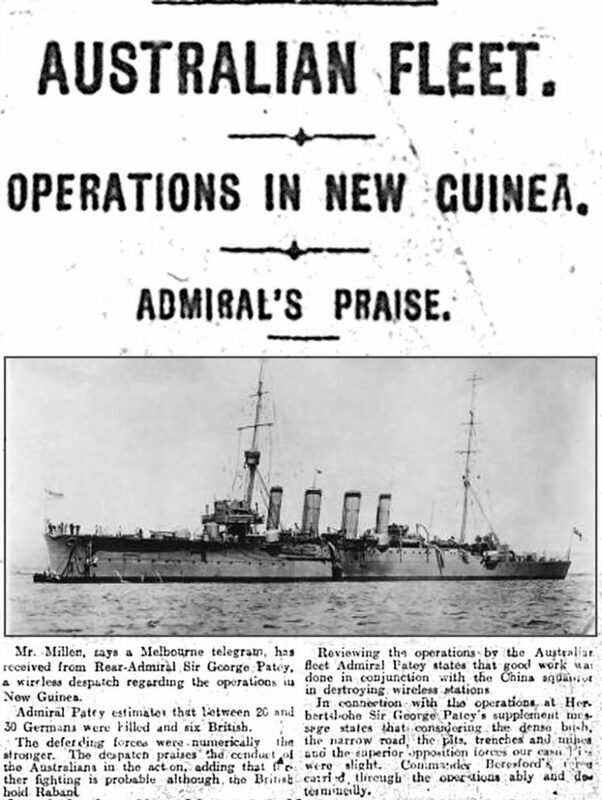 Australia’s first military casualties were Able Seaman William Williams and Medical Officer Captain Brian Pockley, who were wounded during an attack on a communication station at Kabakaul in German New Guinea on 11th September 1914. 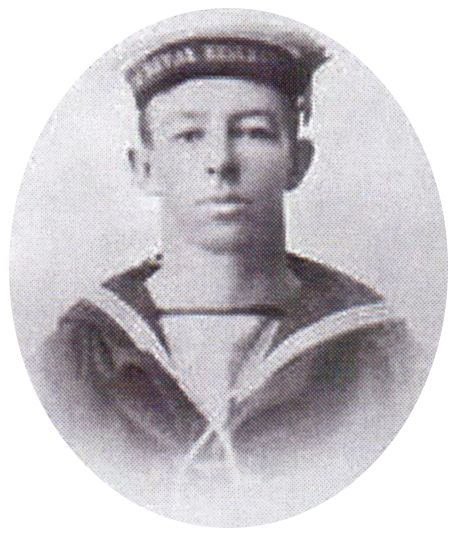 They both died later of their wounds on HMAS Berrima. They are buried in Rabaul (Bita Paka) War Cemetery Papua New Guinea. 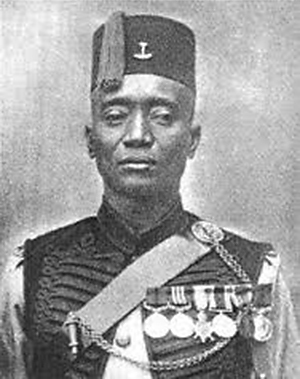 Alhaji Grunshi, Gold Coast Regiment, fired the first shots of the war in the attack on the German radio transmitters in Togoland, 7th August 1914. India was not spared attack. On 22nd September the German light cruiser Emden entered Madras (Chennai) harbour and fired 125 rounds destroying a fuel tank storage area and sinking a merchant ship, causing casualties and creating widespread panic in the city. Thousands fled fearing invasion. It was the Australian HMAS Sydney that finally sank the Emden off the Cook Islands on 9th November 1914 after the German cruiser had sunk or captured over thirty allied merchant vessels and warships. 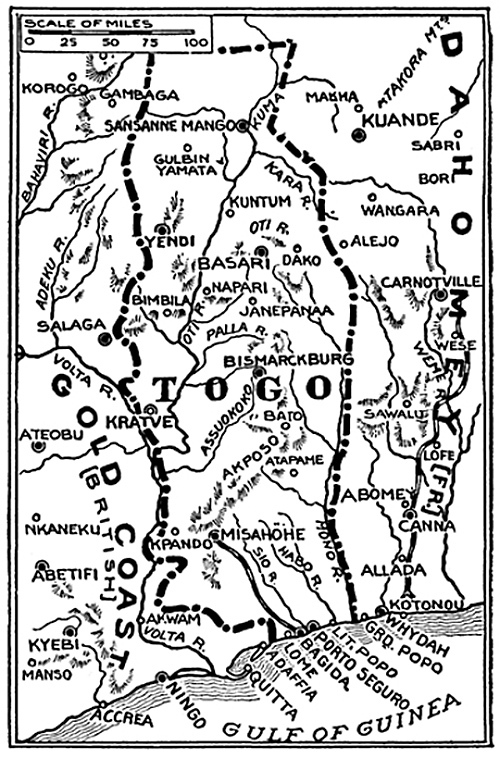 In the early months of the war the Germans made probing attacks along the border of British East Africa. The purpose of these attacks was to test the strength of European, Indian and African forces in defence of railway links with Uganda. 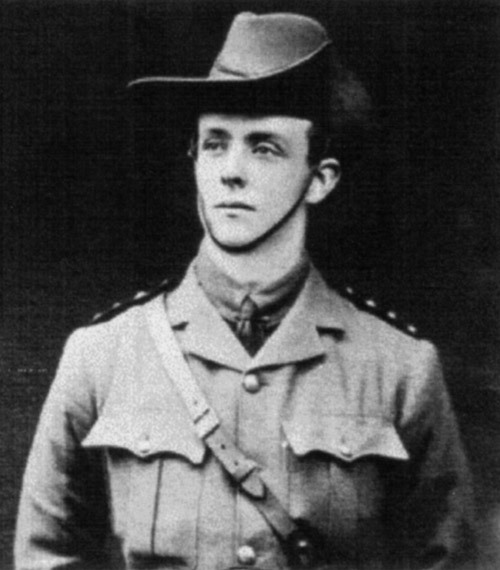 Captain Guy Oldfield , Queen’s (Royal West Surrey) Regiment, attached to 4th Battalion Kings African Rifles was killed on 6th September 1914 along with members of the 29th Punjabis Infantry Regiment , Subadar (Lieutenant) Sher Baz Khan, Sepoys (Privates) Ghulum Hussain, Mirza Khan, Muhammad Din, Muhammad Zaman , Amrita and Dido. Together they had attempted a bayonet charge on German maxim gun units to west of Tsavo in an attempt to defend the Nairobi Railway. This attack meant the 29th Punjabis were the first unit of the Indian Army to fight in World War 1. The engagements in Togoland, New Guinea, Samoa and the battle against German cruisers all ended relatively quickly but the conflict in southern Africa, particularly East Africa, was to stretch across the four years of the war, resulting in a great loss of life. Bradfordians reading the Bradford Daily Telegraph in the Autumn of 1914 were aware that although the war was a conflict with Germany and its allies it was, because of Imperial interests, a conflict that was likely to involve people from all over the world and would necessitate military engagements on many continents and most of the world’s major oceans.